This is the latest out of my shop. 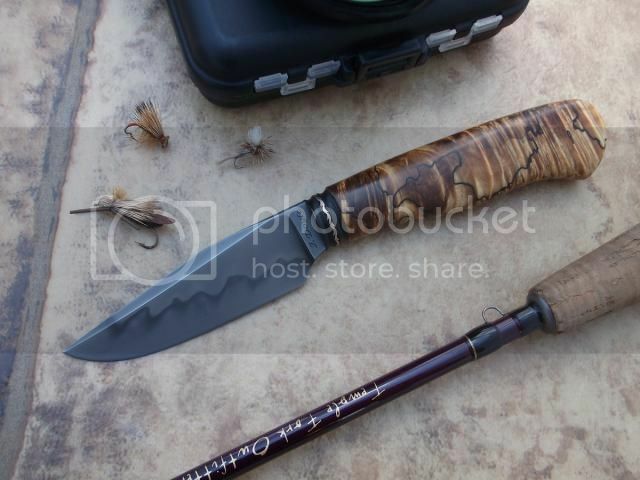 It completes a commissioned order for two small hunter/utility type knives. 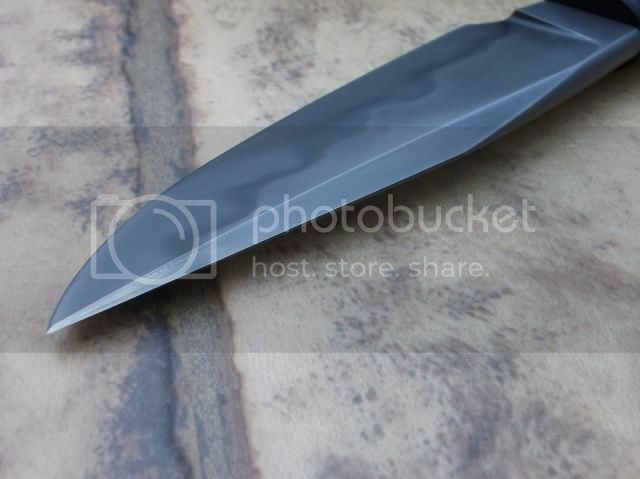 One ground and full tang, and the other, this one, forged and hidden tang. This is the smallest and thinnest knife that I've forged. Stabilized spalted and curly box elder burl. It has some really nice almost koa-like figure and chatoyance. All comments and discussion welcome. 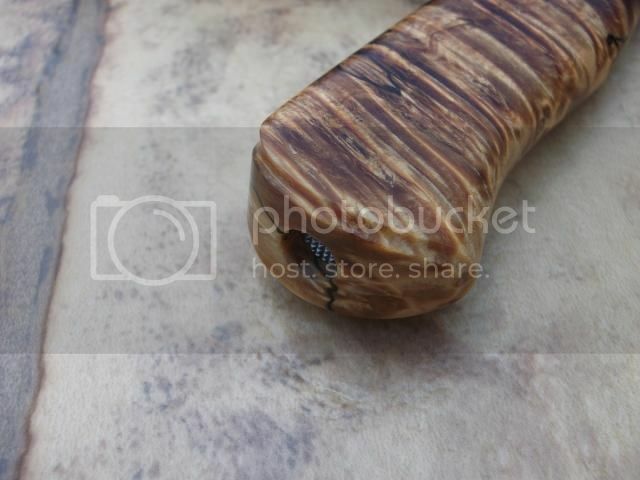 Absolutely love that box elder handle. Both are beautiful but if a guy had to choose it would be hard to pass on this one. *&%^ they are both sweeeeeeet! 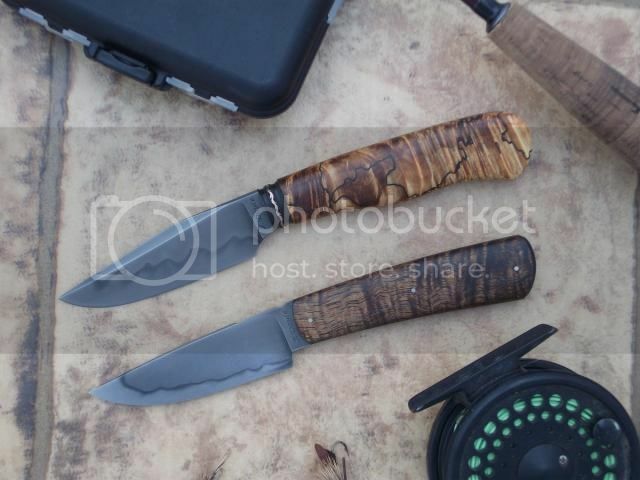 I kind of lean toward the one with the Stabilized spalted and curly box elder burl, I think it is the Bronze fileworked spacer, set between the two Black g-10 collars , that sets that one off. But the simple elegance of the one on the bottom grabs my attention as well! It is easy to see the work you put into the both of them! Well Done Mr Doyle , Most excellent designs. as well as execution . 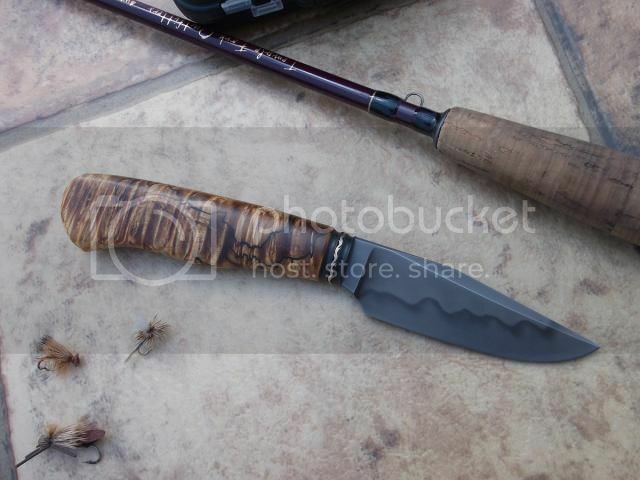 I like them both, and I suddenly want to go fly fishing. A Man after my own Heart ! Amen ! Lets Go Brother ! Love it! 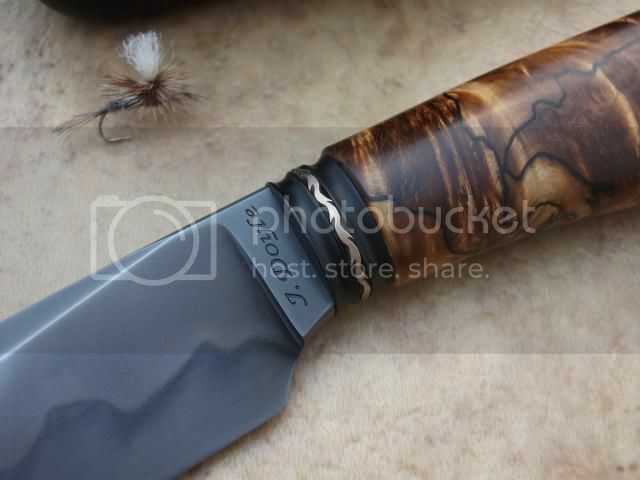 That spalted handle really picks up the hamon in the blade. Cool beans. Beautiful knives, fit and finish are excellent as always. You never disappoint. Thanks guys. I appreciate the comments.